What happens when an alienated teen-age boy and a living doll join forces? 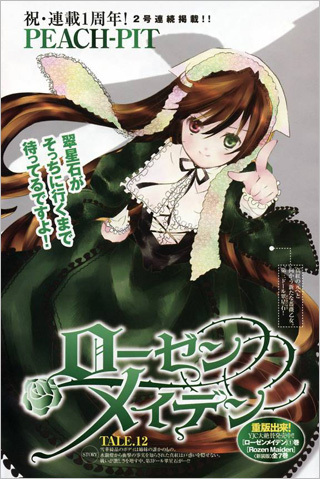 For the teen-ager, Jun Sakurada, it's the beginning of a strange, wondrous and frightening journey into the world of the Rosa Mysticas. 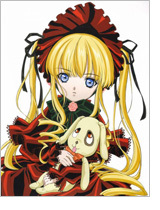 As Jun and the living doll Shinku are getting acquainted, a stuffed bear attacks Jun. 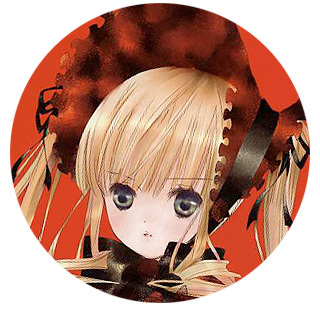 Shinku will save Jun's life, but only if he vows to serve her-and he agrees. 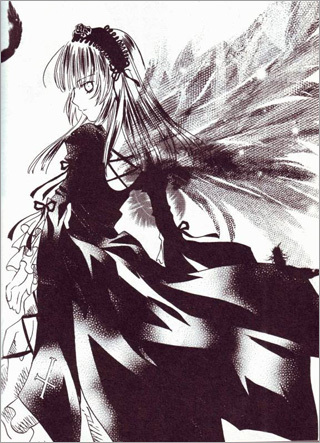 Jun then finds himself drawn into a centuries-old battle that involves Shinku and six other dolls—all known as Rozen Maiden dolls. 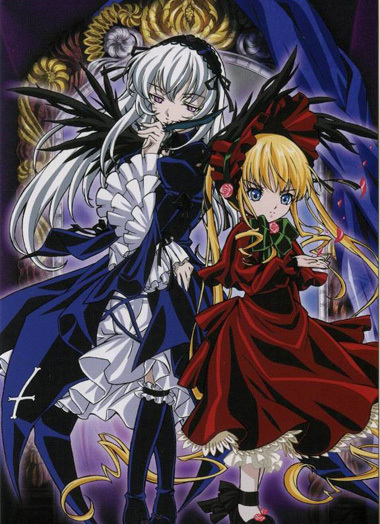 They are involved in what is known as the "Alice Game"—a competition orchestrated by their creator, only known as "Father." 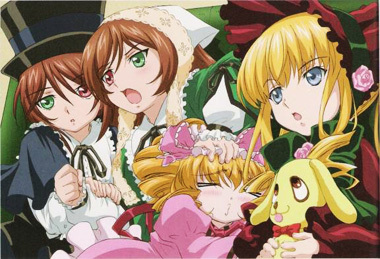 The dolls compete to see who will become Alice-the perfect embodiment of a girl. However, the reason the competition has gone on for so long is that a number of dolls refuse to fight, so as not to kll their own sisters. 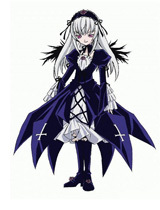 But eventually, two other dolls appear and force them to begin the dreaded and lethal Alice game once again. 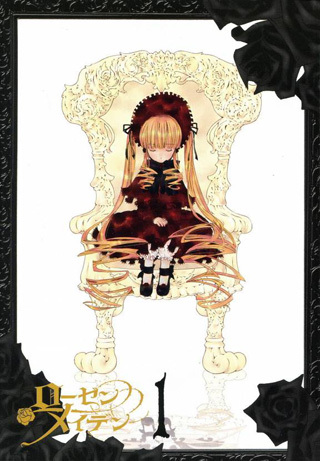 It's a wonderful series that explores the relationships between Jun and the Rozen Maiden dolls. Jun also learns to confront the insecurity that drove him to leave his former high school. The stories are gripping-filled with equal doses of wonder, excitement, drama and danger. A gorgeous palette brings this world to life with a vivid, intoxicating richness that draws you in like a magnet. 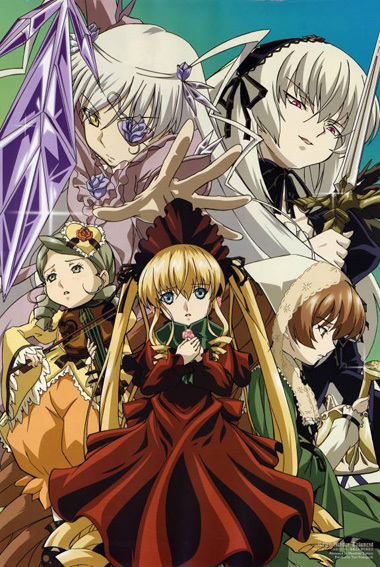 A magnificent musical score is icing on the savory, sensuous dessert that is Rozen Maiden. You can't just limit yourself to one serving. You've just got to go back for more and more. This delightful series is sure to whet your appetite. 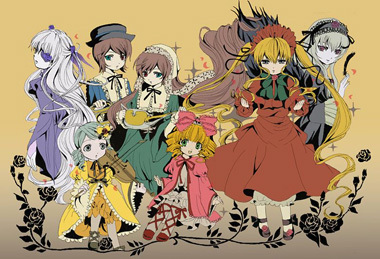 So, go on and help yourself to the wondrous feast that is Rozen Maiden. 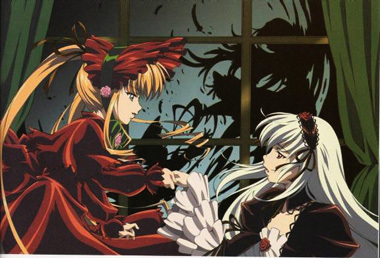 Below: Promotional illustrations for Rozen Maiden. 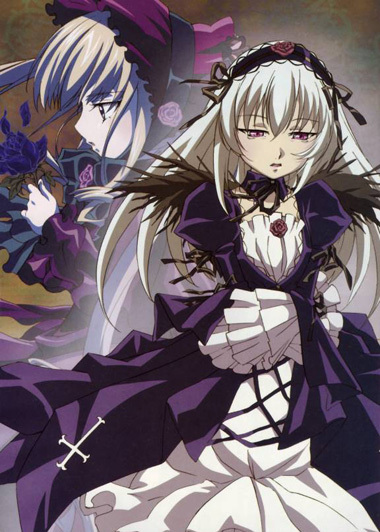 Below: The opening of Rozen Maiden. 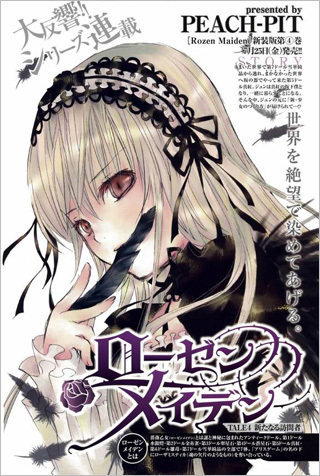 Below: Cover and interior illustrations from the Rozen Maiden manga.